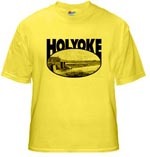 Holyoke, Mass » Blog Archive » Happy Father’s Day! When family lore becomes reality. Sort of. 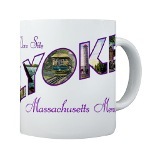 Most people in Holyoke with the Miles surname are cousins of mine. (There was only one Miles family to which I have never been able to find a connection: William B. Miles, a studio photographer.) So if your surname is Miles and you are from Holyoke, you may well be my cousin — feel free to write and ask, I can let you know. Unfortunately I never met my grandfather — he died of a heart attack before my parents were even married — though my mother made sure to tell us plenty of stories about him. A Scottish immigrant, he worked for paper mills. One of the components involved in paper making was the use of fiber from rags. Rag collectors would work the streets gathering cast offs that in turn would be sold to the mills for paper making purposes. Have a look here for more paper making information. I haven’t examined paper labeling for a long time, but I can certainly remember rag percentages cited in the content description. One story we heard many times over was about the family dog, Rags. We heard stories about how smart the dog was and how he had bonded with my grandfather — Rags was, first and foremost, my grandfather’s dog — daily seeing him off to work and greeting him on his return. Grandfather had found the puppy in a bin of rags at the paper mill, waiting to be processed. Rescuing the dog, Grandfather gave him the sensible name “Rags.” My brother and I loved hearing Rags stories though we had never met him. 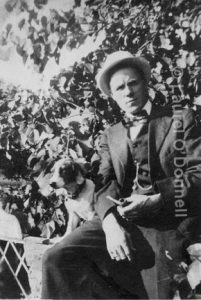 We have a few photos of my grandfather with this same dog which my mother identified as Rags. A few months ago, I was searching archival newspapers for something unrelated to my grandfather when I encountered a 1935 article about a dog show in Holyoke. Certainly a dog show these days is quite different from 1935. The article, which I’ve transcribed in full, follows this post. After all, we love to see familiar Holyoke names among those who entered their dogs in the show. The big surprise is that my grandfather is mentioned as having entered his dog — which is pretty interesting because my mother always told us the dog was a mixed breed. I always associate dog shows with purebreds. I love reading the article and seeing the elaborate and interesting names of the many dogs entered, and then reading my grandfather’s name and his dog “Rags.” In the article Rags is entered as a Cairn terrier (a Scottish breed) but the Rags in the photos we have looks nothing like a Cairn terrier. In reading a couple of other short articles about this show, referred to specifically as a “Puppy Show,” Neil J. Moriarty, treasurer of the Holyoke Kennel Club, speaks of the show as one for amateurs and professionals. So I am assuming that accepting Rags as a Cairn terrier was a nod to an amateur — or just a healthy suspension of disbelief. In any case, my grandfather clearly loved his dog Rags and I can’t help but love that about him. So Happy Father’s Day, Grandfather!